Cloud infrastructure adoption has quickly become a best practice among enterprises looking to glean significant IT infrastructure cost savings and scalability benefits. However, realizing those benefits often requires customization of the cloud infrastructure solution and should not be treated as a plug-and-play implementation. 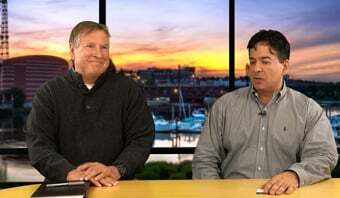 While the lion’s share of the cloud infrastructure marketplace is dominated by large hyperscale providers that deliver standardized and commoditized public cloud options – including Amazon Web Services, Microsoft Azure, and Google (News - Alert) Cloud Platform – these options are well-suited for small enterprises with limited IT budgets and non-complex, homogenous IT environments. Middle-market and large enterprises still need significant support to manage cloud infrastructure migrations and maintain steady-state operations across their private, public and hybrid cloud environments. As many enterprises do not have the right resources required to perform these functions in-house, it can be beneficial to engage specialized managed service providers to help bridge the gap. Choosing the right cloud infrastructure MSP for an enterprise is critical to achieving the benefits of cloud Infrastructure-as-a-Service environments, as these providers help companies select the right cloud platform(s) for their specific needs. This includes addressing security and compliance concerns, among other industry-specific considerations. They also help ensure a smooth implementation and migration, responsively handle ongoing cloud infrastructure operations and changes, and help enterprises realize the benefits from their technology investments. These benefits include customizing the adoption and management of cloud infrastructure platforms, maximizing the capabilities of the cloud infrastructure solution, and reducing shadow IT or rogue cloud infrastructure usage. Why MSPs Instead of Just Hyperscale? While the hyperscale providers deliver solid cloud infrastructure options, their solutions are largely standardized and commoditized. Therefore such providers cannot be treated as a one-stop solution for most mid-size and large enterprises, which typically require customization for specific application workloads and requirements. Infrastructure cloud MSPs fill this need by customizing enterprises’ cloud platform adoption and management strategies. Cloud infrastructure environments bring varying degrees of security and regulatory requirements as well, which are often problematic for hyperscale cloud providers as they may not be able to guarantee compliance with regulations, e.g., FedRAMP, HIPPA, PCI (News - Alert) DSS, especially for customers in government, health care, and financial services where user information privacy is paramount. MSPs can provide best practices and tools to ensure proper security protocols, support compliance with regulatory requirements, implement data encryption in transit and at rest, and monitor the overall security of a cloud solution. Proactively tracking and improving the operational aspects of infrastructure usage helps companies improve day-to-day operational efficiency. These tasks fall outside the realm of hyperscale providers, but MSPs often use their own tools and automation to manage the cost of cloud infrastructure usage. Similar to electricity consumption, enterprises will only want to pay for what they use, but as with electricity, aligning capacity and demand requires careful planning and management to avoid leaving the lights on when nobody is home. Server, storage, and network usage may vary during peak times, with significant cost impacts if these infrastructure resources are not turned off when not in demand. For example, a health insurance provider would plan for higher cloud usage during enrollment periods by temporarily allocating more storage and server instances (potentially with increased memory and processing power), followed by reducing usage to normal levels when enrollment periods end. MSPs can maximize the cost effectiveness of the cloud infrastructure solution by fine-tuning the usage of different infrastructure resources (compute, storage, network components) at different times (over 3, 6, 9 months, etc.). Another key benefit that MSPs can deliver is to help identify and reduce an enterprise’s shadow IT or rogue cloud infrastructure usage. Large enterprises tend to have instances of shadow IT where application groups go straight to hyperscale cloud providers for infrastructure hosting and bypass the IT operations group, remaining outside of the CIO’s view. This increases security risks, creates a lack of infrastructure standardization, and incurs higher costs compared to consolidating all applications into a few cloud environments to be managed by one (or a few) MSPs. MSPs can help conduct a discovery and mapping of applications to infrastructure and identify cases where there is shadow IT infrastructure usage, allowing CIOs to bring these instances of shadow IT into purview. 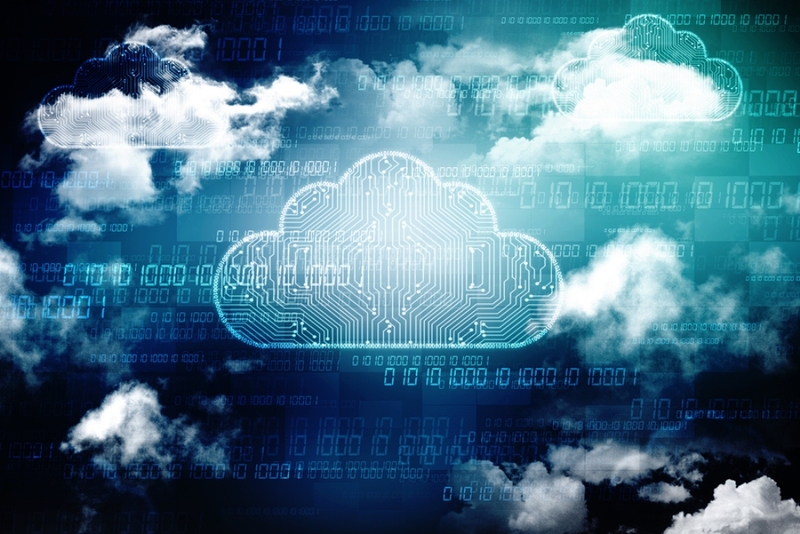 In addition to mitigating shadow IT, companies can use MSPs to help with cloud migration and transformation by implementing best practices for long-term success. Optimal cloud usage requires a mindset paradigm shift, as cloud operations are very different from the way legacy infrastructure environments are run. MSPs are experienced in designing optimal cloud solutions for companies, whether it is migrating legacy workloads to cloud infrastructure or building new cloud-native applications. They can provide assistance with the specific technology and process transformation needed, especially when companies are new to cloud infrastructure usage. Additionally, companies can benefit from MSPs’ professional services to help implement the technology changes, develop runbooks, and utilize documentation and training for enterprise IT operations, finance and other groups that need to be involved. To select the right MSP, companies should first choose the cloud infrastructure platforms that are best suited for their workloads, and then select an appropriate MSP to manage them. Different MSPs have varying levels of technical capabilities and partnerships with specific hyperscale cloud providers, as some of them only support AWS or both AWS and Azure, but not GCP. As an example, if a company has mostly Windows server instances and applications, it may prefer to use Microsoft (News - Alert) Azure for cloud infrastructure; if there are applications that require deep learning capabilities, the company may use GCP instead for their machine learning engine. AWS has support for most requirements with the widest geographic presence, and most MSPs can support migration and the management of AWS instances. The right MSPs also allow companies the flexibility of switching between different hyperscale cloud providers over time, as the MSPs can support both the migration and operations of different cloud infrastructure platforms. Some MSPs also host and support their own niche cloud platforms, where they have extensive technical experience. These MSPs may provide managed hosting services or public cloud infrastructure from their data centers, while also acting as an MSP for the hyperscale cloud providers. Ultimately the choice of infrastructure cloud provider, and thus the appropriate MSP, comes down to pricing, types of workloads supported, and ability to meet regulatory and compliance needs. Another important consideration is that there are MSPs that specialize in certain applications. Some companies may prefer to use these providers because of their industry focus or expertise. For example, some MSPs specialize in supporting the Epic health care electronic medical record application in the cloud, while others have deep expertise in supporting SAP (News - Alert) applications with SAP certified cloud deployment and managed hosting services. Enterprises seeking to realize the full benefits of cloud infrastructure are utilizing MSPs that serve as a much-needed bridge for the successful adoption and operational use of hyperscale cloud infrastructure providers. MSPs can enable a customized experience for companies to comply with security and regulatory requirements, optimize proper usage, and maximize enterprise operational benefits. A solid MSP partnership thus becomes the force multiplier ensuring successful deployment and cost-effective management of enterprise cloud infrastructure. 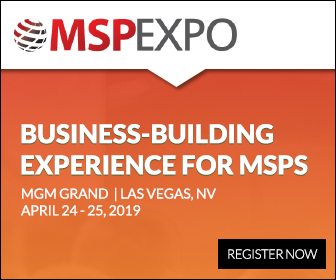 MSP Expo is coming up May 16-17 in Las Vegas. More than 1,500 attendees will convene at the MGM Grand to network and learn how to grow their managed services businesses. Details and registration can be found here. About the Author: Joy Sim is an associate at Pace Harmon, a business transformation and outsourcing advisory services firm providing guidance on complex transactions, process and operational optimizations, and provider governance.